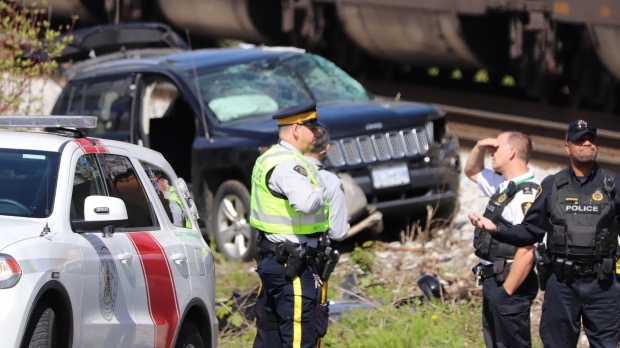 Mounties in Surrey say two people were seriously injured when the Jeep they were in was struck by a train Monday morning. In a statement released later in the day, police said the incident occurred at a marked train crossing at 179 Street and the Golden Ears Connector and was first reported at around 10 a.m.
"The early indications are that the vehicle was attempting to cross the tracks when it was struck by a freight train. The driver and passenger of the vehicle were transported to the hospital with serious injuries," investigators said. "The Surrey RCMP Criminal Collision Investigation Team is on scene and will be taking conduct of this investigation." Police are asking drivers to avoid the area as they work to clear the scene and investigate the cause of the collision. 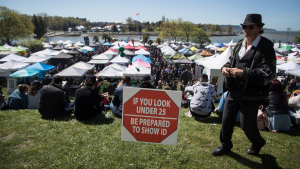 Anyone with information is asked to call police at 604-599-0502 or Crime Stoppers anonymously at 1-800-222-8477.